Thanks to everyone for reading along this year, I can’t believe how quickly it has gone! I’ll still be blogging, but will drop down to 3 posts a week over the summer. Wishing you all the best (and excellent food adventures) for 2016! I was pretty darn excited to see that Poh Ling Yeow, of Masterchef fame, has opened a stall at the Adelaide Central Market, one of my favourite places in the world. We stopped in for afternoon tea and I was in love from the get go – the stall fits perfectly into the Market vibe, but has so much character you can’t help but be charmed. We ordered three cakes – a raspberry and almond tea cake ($4.50), a chocolate custard, salted caramel and peanut tart ($5.50), and a ‘Milly Filly’ (mille-feuille) vanilla slice ($7), which Poh herself made up especially since they’d run out (awesome service!). The tea cake was the least rich of the three, with a lovely marzipan-almond flavour, great density, and a slightly tart kick from the raspberry. My favourite was the chocolate tart, which was super luxurious and had a perfect balance of sweet and salty. The vanilla slice looked like something from a French patisserie, it was so delicate and beautifully layered. 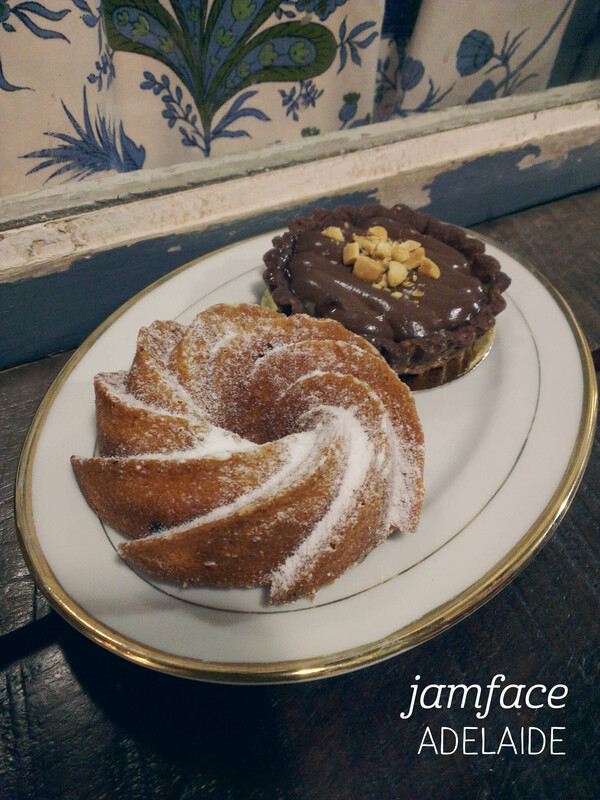 The vanilla flavour was equally delicate and the pastry layers were crisp perfection. I snapped up a jar of strawberry jam to try at home too. Oh yes, I will be back. There are quite a few restaurants around the Hamamatsucho JR station, but many of them are designed for quick churn (i.e. standing restaurants/izakayas). 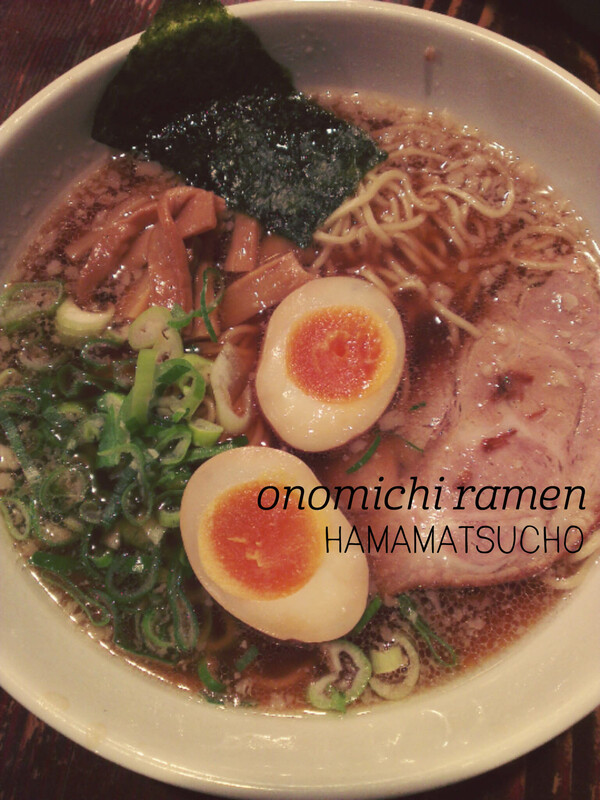 We were quite tired after a day of sightseeing so ended up picking Onomichi Ramen, as it had seats. Sure, the decor is nothing special, and it has a lingering smell of cigarette smoke, but once you’ve received your giant bowl of ramen those things fade into the background. I ordered the standard soy ramen and added on all the extras – pork and egg. They offer table service, and brought out edamame for us to start. The ramen didn’t take long (so a good spot if you’re really hungry!) and the broth looked rich and fatty. Research after the meal explained that Onomichi ramen is the local specialty of Onomichi, near Hiroshima, and uses a typical soy broth with added fish paste and melted lard. Whilst that may not sound appetising, I promise you, it was delicious, and if I’d had room to finish the bowl I would have. The pork was thick and tender, the egg gooey in the centre and the ramen had a great amount of bite. Yum, yum, yum. #burgerweek continues! After seeing the incredible burger Bec from inexplicable wanderlust created at Hoi Polloi, I had to stop in to try it! We went on a weekday for lunch (they’re open from 11:30am-2:30pm daily), and I went straight to the burger specials menu. There are three options, designed at Hoi Polloi’s media launch, each inspired by a former Australian Prime Minister. 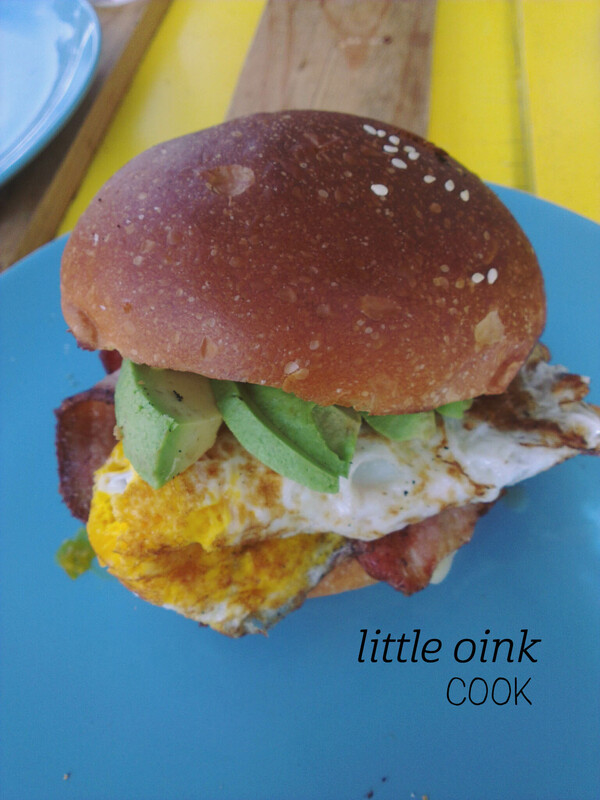 Bec’s creation had some of my favourite burger ingredients – beetroot, pineapple, caramelised onion, cheddar cheese, beef and lettuce, served on a milk bun. We did have a bit of a wait for our meal, so I would recommend visiting when you’re at leisure to enjoy your lunch. The Full Yard burger ($19.90), inspired by Bob Hawke, was beautifully presented on a chopping board, served with a huge pile of chips and tomato sauce served in a jar. The chips were heavenly – perfectly seasoned and just the right balance between soft and crisp. More, please! 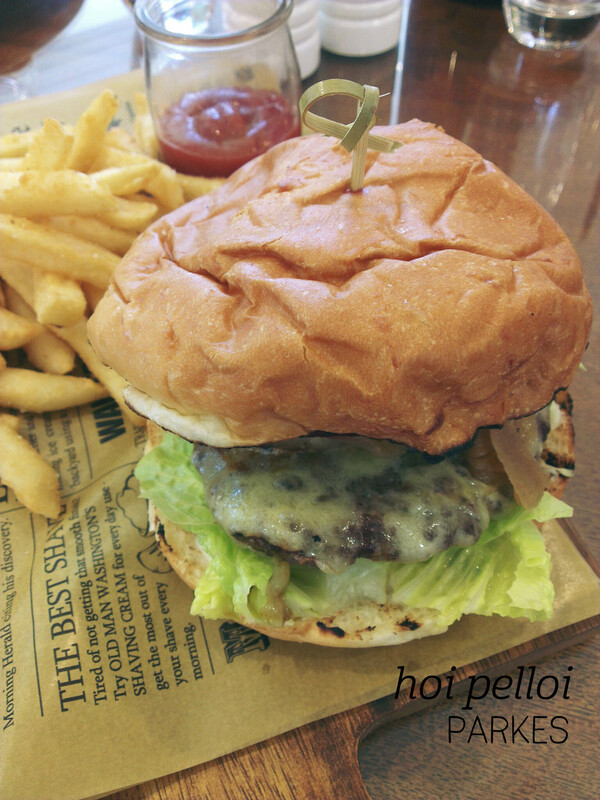 The burger was equally satisfying – I loved the combined flavour of the ingredients, although I felt like the beef patty was a bit thin and commercial for the price (especially compared to somewhere like Parlour). Overall the balance of flavours was brilliant and I couldn’t believe how much beetroot was packed in there! Yum. 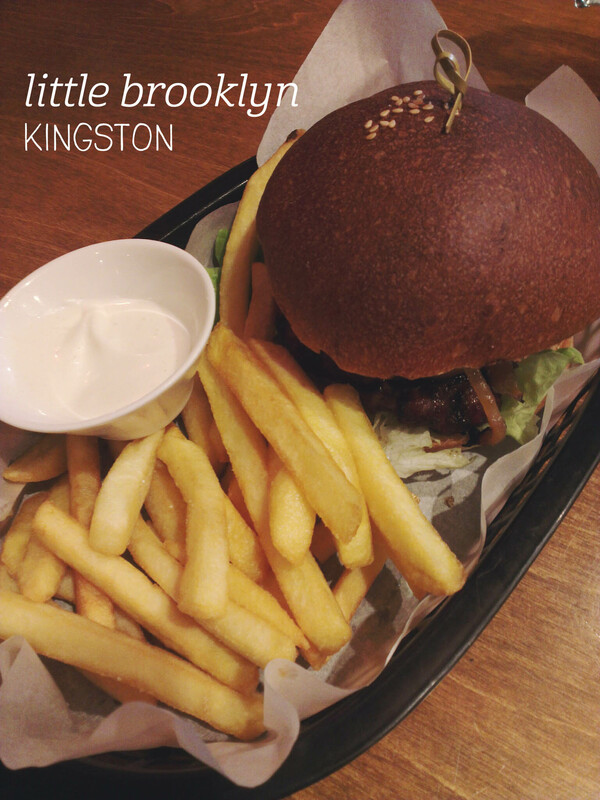 To celebrate this week of Christmas, I’m celebrating my favourite foodie thing – burgers! Welcome to #burgerweek! I adore Grease Monkey. I really do. When my friend came to visit from Adelaide I took her straight from the airport to Braddon for a solid Canberra burger experience. On my quest to try all of their burgers, I picked the Pitt Stop ($15), stacked full of BBQ pork brisket and apple cider coleslaw and spiced up with a habanero mayonnaise. As always, Greasy’s didn’t disappoint, with the food coming out quickly and obviously freshly prepared. There was a huge serving of their delicious chips, which I’m not ashamed to admit I devoured – yes they were salty, but man, that seasoning is so good! The burger itself was also perfection – the BBQ pork paired with the milk burger bun was surprisngly and delightfully sweet, and the pork just melted in your mouth. I’d added pickes to the order (an extra $1), and they were chopped up and mixed into the coleslaw, which was perfect. The coleslaw was actually really great to balance the huge amount of meat. Every mouthful was a bite of happiness, and I seriously wished for a second stomach to be able to eat more. Nom nom nom. Circular Quay on a summer night is a lovely place to be, but with the pop up Gin Garden at the Museum of Contemporary Art open from 4pm, it suddenly became even better! Shared with the MCA’s Graze restaurant, the Gin Garden is delightfully decorated with shrubberies, flowers and fairy lights, not to mention a sweetheart swinging chair. There are several cocktails on the menu; I chose The Rose Garden ($18), with Archie Rose gin, Earl Grey tea, ginger beer and Rose’s marmalade, all served in a gorgeous glass and topped with cucumber, rose petals and rosemary. I loved the light spritz from the ginger beer, the sweet-but-not-sweet twang of marmalade and the complexity of the gin and tea combination. The whole concotion was utterly delightful and not sickly sweet. I was surprised at how generous the serving was, and unless it becomes part of a bar menu somewhere else, I’ll have to give making it a go at home. I wish I’d gone when I was hungry – the food menu looked mouthwatering, with everything from grilled flatbreads through to more substantial fried calamari on offer. 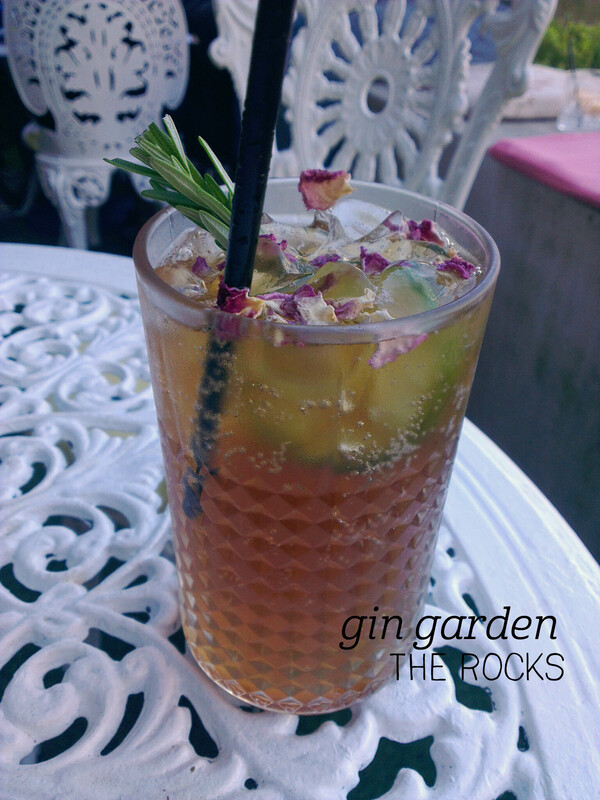 Make the most of the Gin Garden’s season – it’s only open for the summer.